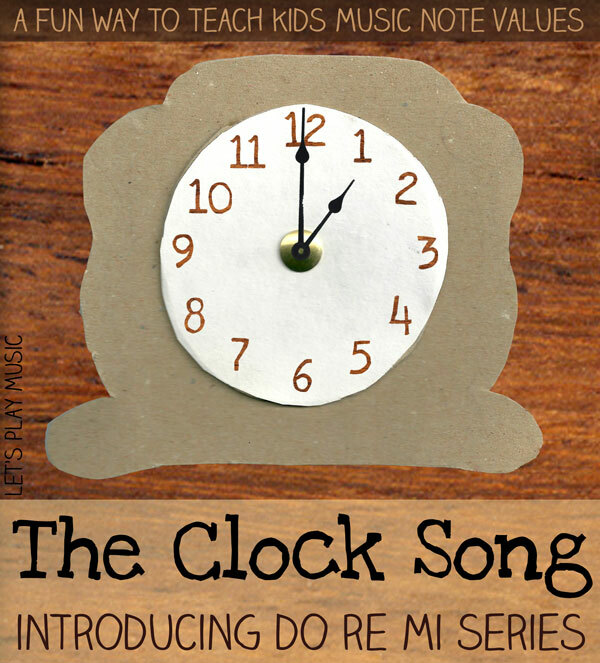 The Clock Song is a fun and easy way to learn musical note values. It helps kids to understand and recognise the difference between Minims (or 1/2 notes), Crotchets (1/4 notes) and Quavers (1/8 notes) by making it into a fun game. 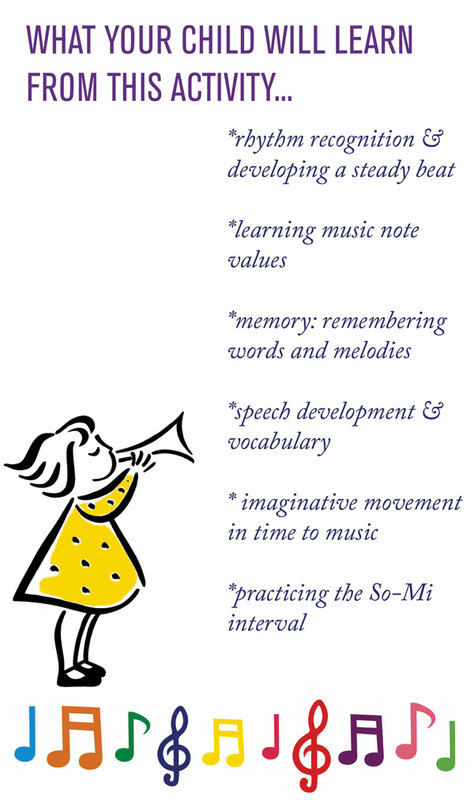 In essence, this simple activity makes the musical concept clear, and the note names and values easy to remember. Using the the printable sheet (scroll down and click the picture to download). First, discuss the three different types of clock and clap and chant the sound that they make. Slow, long tick-tocks for the Grandfather clock. Medium length tick-tocks for the kitchen clock. Fast, little tick-tocks for the little watch. Then sing the song together whilse pointing at each clock and making the tick-tocks with wooden sticks. Once they have mastered the song, blow some magic on your hands and rub it on your feet – a useful way to encourage enthusiastic participation! 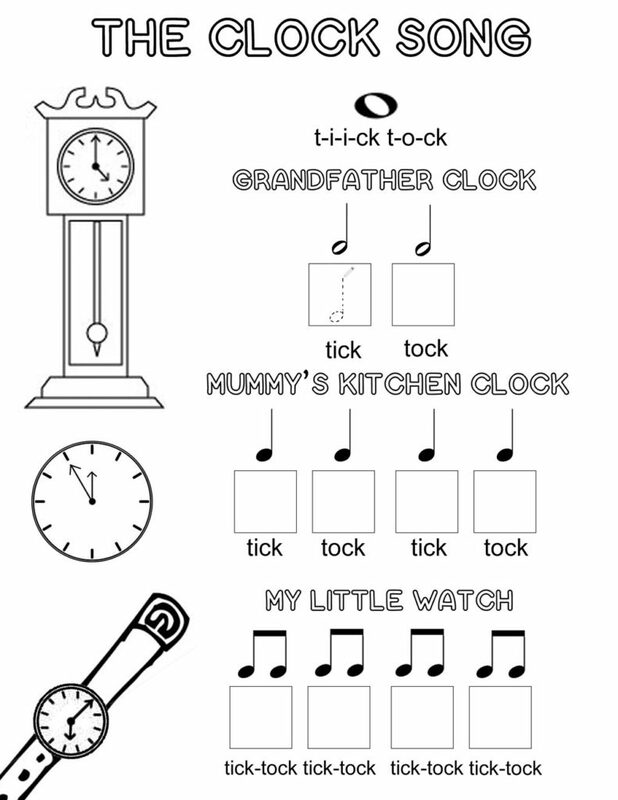 Then you can sing the song while taking steps in time to the tick-tocks, big steps for the Grandfather clock and medium steps for the kitchen clock, and fast little steps for the watch. Using the wooden sticks you can then test them on the note values by playing the three tick-tocks in a different order, and asking them which is which. 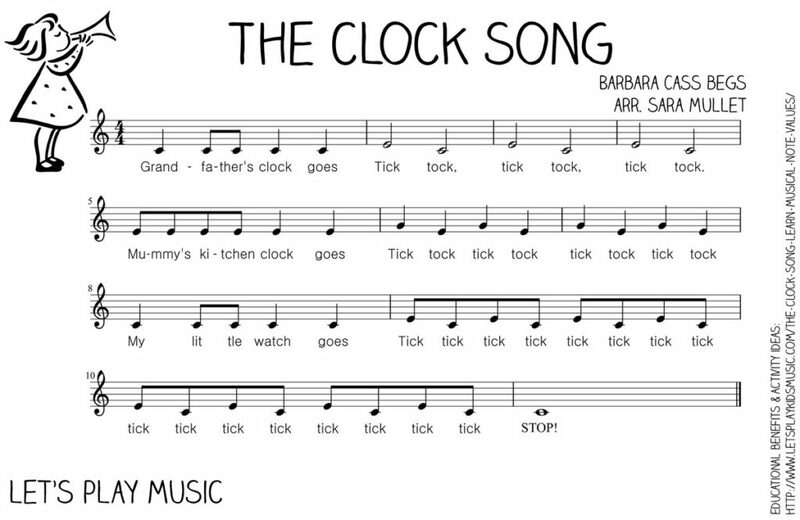 If you want to see how The Clock Song fits into a music lesson plans for kids of a variety of ages take a look at my Clocks and Mice lesson plan. Hi, how about “our kitchen clock” instead of “mummy’s kitchen clock”? 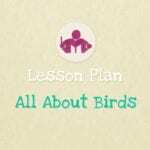 Hi Sandra, Yes of course do adjust the words to suit, I do that all the time in lessons to make them more relevant. That’s great Raju! You’ve come to the right place! Hi Grace, You are absolutely right! Sorry if that has cause confusion for you! Yes, in the chime bar clip the rhythm is the same in bars (measures) 1, 5 & 8. But on the printable sheet music bar 5 is slightly different to fit in with the words. Unfortunately, this sort of little mistake can happen when things are written or recorded on different days. Anyway, well done for spotting it! 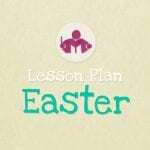 It shows you are developing a good understanding 🙂 I am so pleased to hear you are learning so much from Let’s play Music! 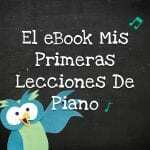 Hello Sara, I am taking baby steps in piano lessons with you. Thank you for all the posts. I appreciate. I have listened to the xylophone and I ordered one for myself. Anytime I am getting it. Do you agree with me that *Xylophone beats in the first measure of the second staff are the same as for the first and the third staffs. They seem not to match with the written notes. I thought the beats would sound different *titititi ta ta instead of ta titi ta ta. Let me know if I am on the right track.